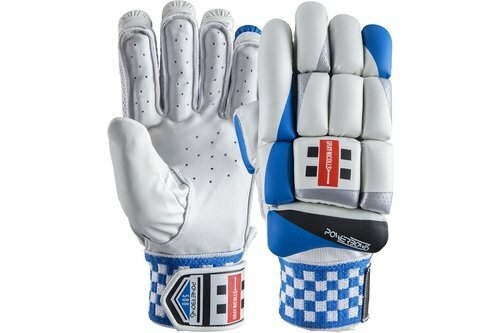 The Powerbow 6 Range has a more classical pre-curved design with the latest combination of protective materials. Premium leather palms allow exceptional feel, grip,durability and moisture management. A double sided elasticated sweatband absorbs moisture for increased player comfort. A two section, V cut thumb with a Quad-layer of diffuser foam, classic Cashmillon Fill and Fibre Shield on the first two fingers.